You may connect a number of external devices to the RS-485 port of your WTI-1 interface, such as power relays, antenna switches, etc. Please notice that you have to add a 3.5 mm socket (such as DigiKey part number CP1-3543N or CP1-3545N) to the PC board of you WTI-1 device. 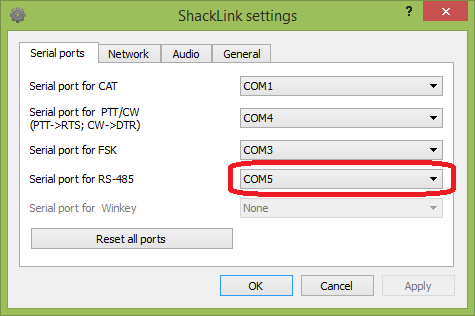 Please also make sure to update to the latest firmware and use the latest version of the ShackLink software on your PC. 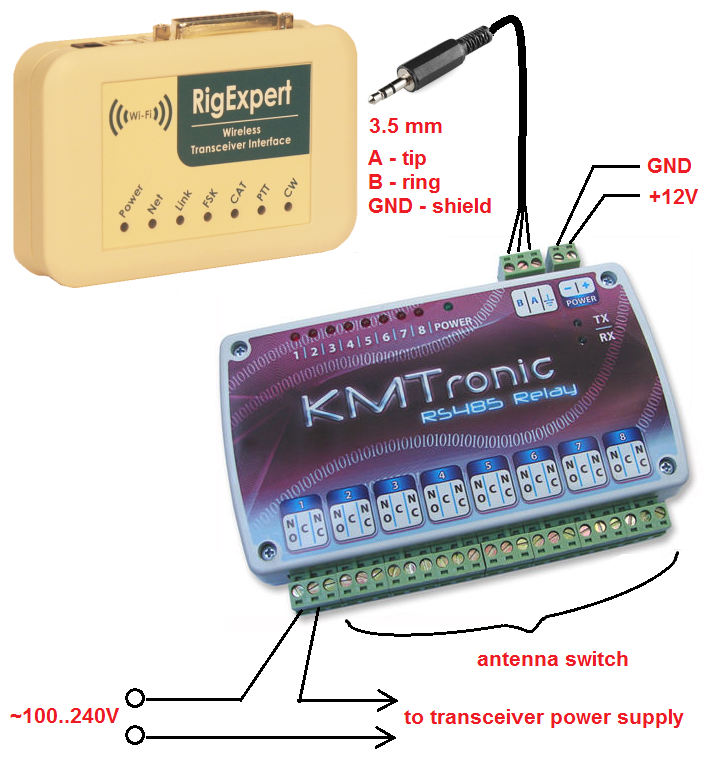 This example describes the connection of the KMTronic RS-485 Relay to the RS-485 port of the RigExpert WTI-1 interface. By using a 3.5 mm plug and three wires, connect the relay box to your WTI-1. Apply power (12V) to the relay box. The relay outputs may be organized in such a way that one of the relays is responsible for turning on/off power of your transceiver, and the rest of relays are left for switching the antennas. You may make a shortcut on your desktop containing the above command for fast access.